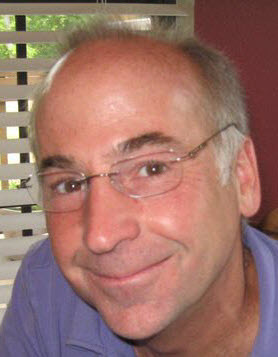 Dallas “Gorn” Snell: With 30 years experience, Dallas is a veteran of the gaming industry. He published his first game, The Quest, in 1983, and a few years later co-founded the Austin studio of Origin Systems with Richard Garriott. At Origin, he Produced/Executive Produced 30+ original games, including such best-sellers as the Ultima and Wing Commander series. In 1993, Dallas (aka “Gorn”, a nickname he inherited from the main character in his first games The Quest and Ring Quest) became the General Manager of the Origin division after their acquisition by EA. In 1996, Dallas took time off from business activities to spend with his young son and to study research in the growing convergence of the cognitive, behavioral, affective, social, relational, and neural sciences and the practical application of those sciences in the field of individual, group, and organizational development. However, the lure of multiplayer online games proved more than he could resist, and in 2006 Dallas rejoined his former Origin partners as Director of Business Development at NCsoft. In 2009, Dallas co-founded Portalarium, Inc. to provide online games and virtual worlds that foster people coming together for fun, shared play, good will, learning, and community. As COO, Dallas’ main role is to provide operational management and project guidance to help the Shroud of the Avatar team function as smoothly as possible. 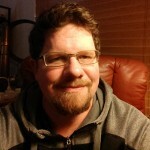 Michael “Hutch” Hutchison started his game industry career in the early 1990’s, working as an artist and animator on many of the classic quest adventure games from Sierra On-Line. Since then, he has worked on projects at Codemasters, Pandemic Studios, NCsoft, BioWare, UTV Ignition Games, and Vigil Games. 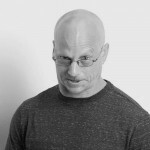 He holds a Bachelor of Fine Arts degree from Rhode Island School of Design, and with over 2 decades of industry experience, he has contributed in just about every facet of game art development. 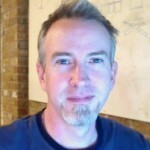 He has also earned credentials in game design, having been enlisted as a member of Richard Garriott’s world design team on “Tabula Rasa.” For the past 11 years, he has made a specialty of environment art, world design, and scene building, and now brings his unique blend of art and design experience to the creation of the game environments in Shroud of the Avatar. Mathew “Berek” Anderson is the Senior Community Manager at Portalarium. 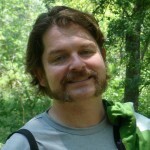 He has over 10 years experience in the industry managing community’s across press and developer organizations. Mathew has worked with the teams of numerous MMORPG projects like EverQuest, Dark Age of Camelot, Lord of the Rings Online, and Warhammer Online. When not working on Shroud of the Avatar, Mathew spends his spare time biking around the beautiful city of Austin, Texas, or spending quality time indoors on various writing projects like his upcoming book, www.ourcosmicstory.com. 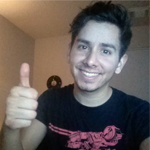 Rhys “Attenwood” Romero is a Producer/Designer that joined our team not long after achieving degrees and honors in both Psychology and Game Design from St. Edward’s University and ACC’s Game Development Institute respectively. Games have been a fundamental part of his life since his earliest memories. Vexed by the volatility present in much of the Industry, Rhys has dedicated himself to becoming a catalyst for positive change and stability on the path toward Production. 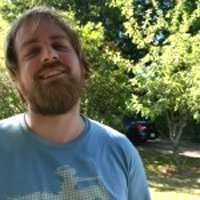 In the short time since Rhys stepped into the industry he has facilitated the creation of an art contracting firm; became a certified Professional Scrum Master; assumed the role of Volunteer Coordinator for Captivate, a local professional conference; became a student tutor for Agile production, game design, and the Unity development; and was honored as an IGDA Scholar in Production for GDC 2015. Trivia: Rhys is Welsh for “enthusiasm,” which is fitting for an industry built upon passion. 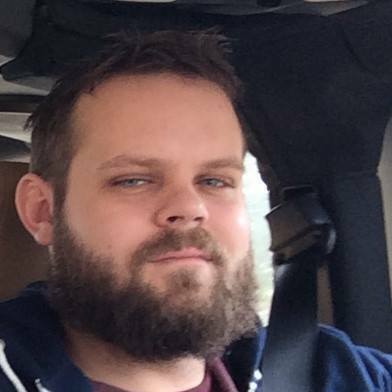 Bob Cooksey is a Senior Environment Artist at Portalrium with nearly 17 years experience in the industry. Bob’s published games include Ghostbusters (XBox), Return of the King/Lord of the Rings, Bloodrayne2, Frontierville, and many others. 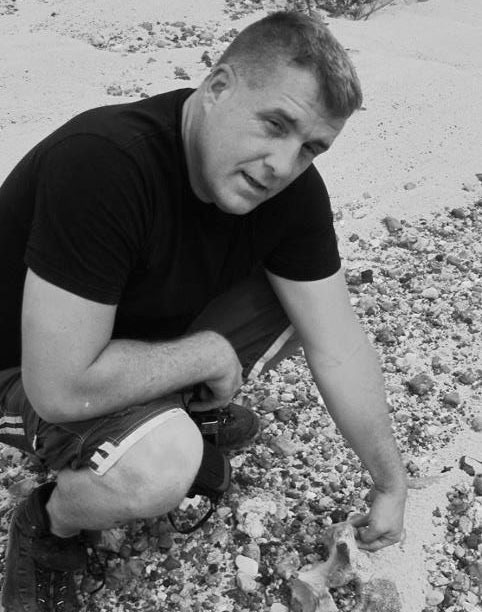 When not working on Shroud of the Avatar, Bob spends his spare time fossil hunting the Cretaceous shallow seas of Central Texas. 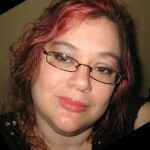 Gina “FireLotus” Dionne got her start in the gaming industry working with Richard Garriott and team after being “discovered” doing what she loved; moonlighting as the Community Manager for a popular Tabula Rasa fan site. 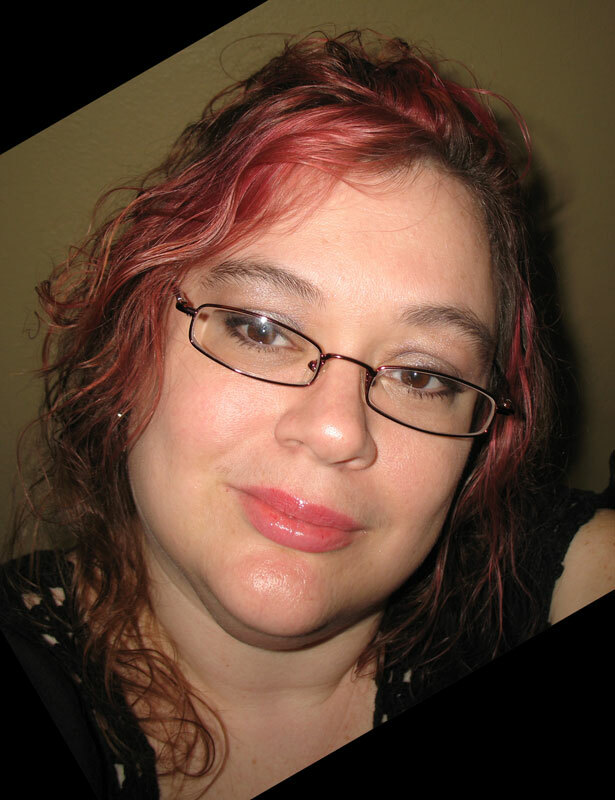 She moved to Austin, where she spent the next few years working as the web content writer and editor for both Tabula Rasa and City of Heroes. Since then, Gina has lent her talents as an independent contractor to several projects, most memorably Star Wars: The Old Republic. 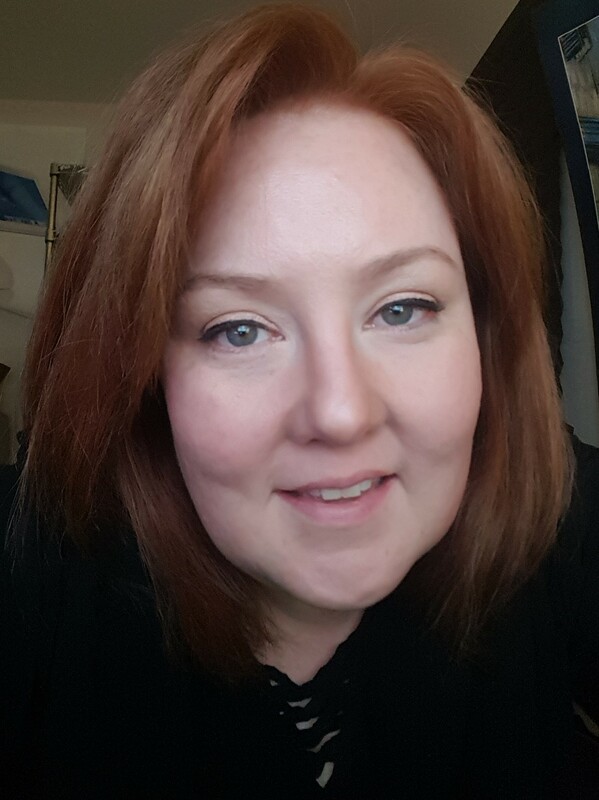 But Gina’s heart and her passion never strayed far from Community, and it wasn’t long before she was called home to work as the Community Manager for Shroud of the Avatar. 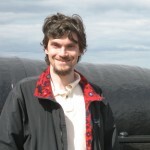 Erik “Scrambler” Touve started his programming career in 1995 and later entered the games industry in 2000. His accreditation’s include: Microsoft Casino, Thief: Deadly Shadows, Warhammer Online, Mushroom Men, Ghostbusters, Star Wars: The Force Unleashed II, and Thor. He has worked with the following companies: Glasseye Entertainment, Compulsive Development, Ion Storm Austin, Knockabout Games, Mythic Entertainment, Red Fly Studio, and Portalarium. 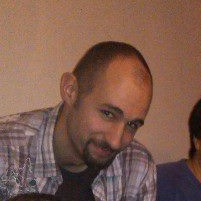 He is currently working as a Client Programmer on Shroud of the Avatar. Kevin “UglyFist” Wells recently graduated from the Art Institute of Austin where he majored in Media Arts and Animation, with a focus on 3D art. Before graduation Kevin interned with the character team at Sony Online Entertainment. Growing up in a very rural area of Texas, Kevin found video games as a fun outlet to farm life. From NES to Sega to PC, Kevin fell for games and sci-fi/fantasy at an early age. 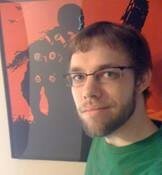 While very new to the industry, he is excited for the opportunity to be creating art for Shroud of the Avatar. 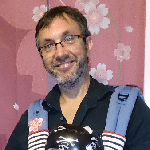 Bren Wilson has been working in the Games industry since 1996. Currently a senior animator, Bren comes to Portalarium directly from Disney interactive. His favorite thing about Portalarium and working with the SOTA team is the fact that he has been working with many of the team members, including Richard for the majority of his career. 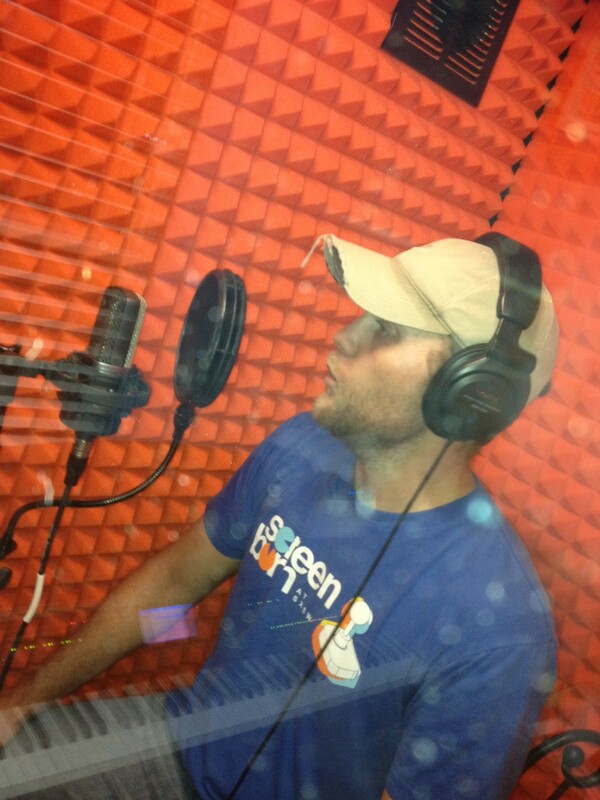 Matt Schmitz is an Animator with several years of experience working in the video game industry. He has had the fortune to have worked on several games from some of his childhood interests including Teenage Mutant Ninja Turtles, Marvel Comics’ Thor, and Star Wars. Matt has always had a great interest in fantasy stories and medieval lore so having the opportunity to work on Shroud of the Avatar is a thrilling and exciting opportunity for him. Matt graduated from University of Texas in Austin and then went on to study 3D Animation at Vancouver Film School. He has also studied renaissance martial arts as a hobby and hopes to bring his knowledge and experiences to the world of Novia. He also likes beer, pizza, and dragons. 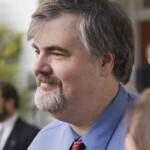 Dan “PlagueOfLocust” Brennan breached the walls of the game industry in 2010, after earning his Masters of Interactive Technology in Digital Game Development from The Guildhall at Southern Methodist University. He spent two years at BioWare Austin as a World Designer on Star Wars: The Old Republic, and has worked on content for several mobile games for a number of studios in Japan. On Shroud of the Avatar, he heads up Player Owned Town implementation, in addition to working on combat and resource spawning, world building, and a variety of other tasks. Deeply influenced by Ultima: Runes of Virtue II (GB) at an early age, he is very proud to be a part of the team at Portalarium. 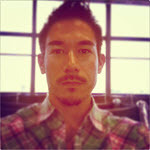 Beyond his love of gaming, Dan is a rabid fan of mixed martial arts, dark Korean films, MF DOOM, and Thai iced tea. Fletcher Kinnear has been working as an artist in the games industry for roughly 4 years. He first got his start as a concept artist for the game Starlight Inception by Escape Hatch Entertainment. Since then he has produced art for a number of indie game projects working for companies such as Kalani Games, Virtuix, and Meta 3D studio. He currently lends his skills to the creation of characters creatures and accessories for Richard Garriot’s Shroud of the Avatar. Fletcher is passionate about high-fidelity art creation for interactive entertainment. Be it concept art or 3D modeling, he always has an obsessive attention to detail and drive to make each piece look pristine. 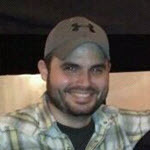 Chris Wolf left his five year military career to pursuit a career in the game industry, and recently graduated from ACC’s game development institute. He discovered his passion for game development early, and prior to joining the industry worked on small personal projects and mods. He is extremely excited to work with, and learn from, the talented game developers here at Portalarium. When he isn’t gaming, or working on games, he enjoys long-sword fencing, philosophy, art, and binge watching shows on Netflix. 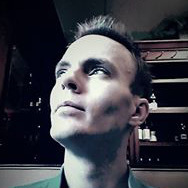 Damien “Puuk” Foletto has journeyed through game design and development for the better part of 18+ years. He got his start at Interplay’s Black Isle Studios working as a game designer on Icewind Dale 2, burning the midnight oil (crunch time) making back stories for the myriad of items in the game, as well as fleshing out and designing the epic end game of the Severed Hand. After Black Isle’s closure (sob), Damien infiltrated many other popular game companies, working on such titles as Lord of the Rings: The Battle for Middle Earth, X-men Legends 2: The Rise of Apocalypse, Marvel Ultimate Alliance, Tabula Rasa, DC Universe Online, and several more, lesser known titles from overseas (The Fall: The Last Days of Gaia, for example). When not designing epic boss fights, quests and back stories, Damien enjoys spending time with his wife and daughter, a wiener dog and puguahua (not a spelling error), reading, working out, playing games (all types), and participating in whatever his wife plans for his off time, whether he likes it or not. Andrea “Lexie” Vinyard got her first break in the gaming industry was back in 2001 as an Ultima Online Game Master, but her love of gaming goes back even further. Her first video game was “Kool-Aid Man” (Intellivision) at the age of four. 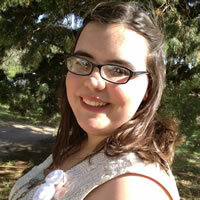 She has worked on the following titles: City of Heroes, Auto Assault, Dungeon Runners, Lineage, FIFA, and Madden. When she is not running around New Britannia switching deck builds as a Life/Death/Archer she is usually watching football – or playing with her dogs. Kat “Bread Vendor” Wenske is the the newest torch bearer for Shroud of the Avatar’s sound design. 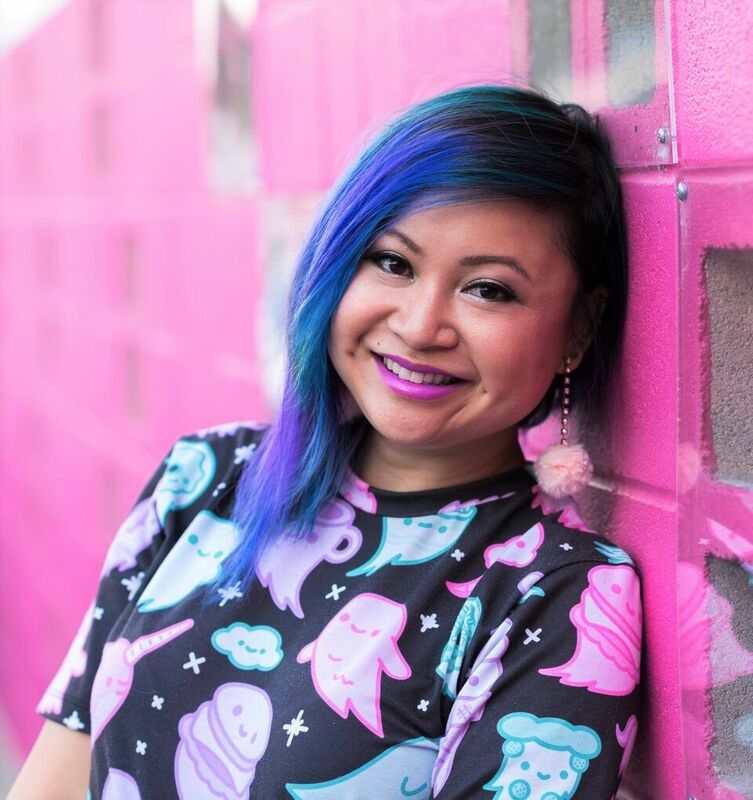 She has experience as a sound designer, composer, and audio producer, and has worked on AAA and indie titles on platforms ranging from consoles, PC, and mobile devices. She enjoys the challenge of new projects, unique game experiences, and adding neat, hidden textures to sounds (what do you mean there’s a tiger growl in that light bulb and a walrus in that floor creak?). Some of her favorite games include Earthbound (SNES), Space Channel 5 Part 2 (Dreamcast), Eternal Darkness (GameCube), and Age of Mythology (PC). 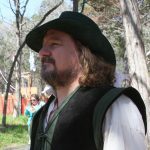 Scott “Lum” Jennings has been playing roleplaying games since 1976, when at the age of ten, during a game that had just come out called Dungeons & Dragons, he lost his first character, a 1st-level wizard, to a balrog. He’s been complaining about poor game balance ever since. More recently, he has been involved in the massively multiplayer gaming world in various capacities. In 1999, he posted tales of his various frustrations and amusements with “Ultima Online” on a web site, which he named the “Rantings of Lum the Mad” after his character. 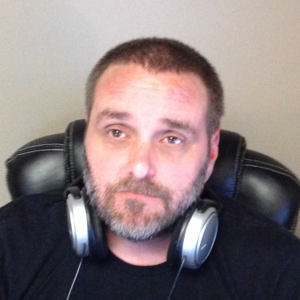 Over the next three years, as the number of people who played MMORPGs grew, the combination of humor and commentary on Scott’s website proved popular, both with the players and the creators of these games, including Richard “Lord British” Garriott, whom Scott first met during an Ultima Online player gathering. Over ten years later, he’s still working behind the scenes of online games, in both programming and design. He can’t think of a more fulfilling career than to tinker at the machinery that makes worlds tick. 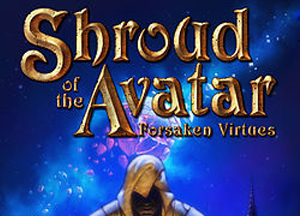 Esteben “SorcerousSteve” Zaldivar is one of the youngest chaps on the Shroud of the Avatar team. He graduated with Honors from the College of Communication at the University of Texas with a concentration in game design. Throughout this time his research spanned open-world games, educational applications, and virtual reality games leading him to be awarded the ESA Video Game Innovation Fellowhip. During his studies he interned at Team Chaos where he was a game designer on several of their titles. 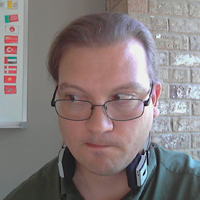 Joseph Toschlog, known to some as Rustic Dragon, is a Web Developer and Community Relations Specialist for Shroud of the Avatar. 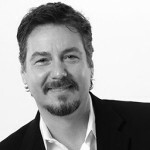 Armed with a degree in computer graphics, he brings nearly two decades of assorted web design/development experience and over half a decade of UX experience in the enterprise marketing software sector. His UX strengths lie in Interaction Design and skeuomorphic stylized Visual Design. Additionally, Joseph is a life-long Ultima fan and avid collector. Moving to Austin and working for Portalarium signified the completion of his 20+ year old childhood dream to work for Richard Garriott and company. Joseph runs The Hearth of Britannia, a fansite for all things Ultima, Origin, and SotA. The Hearth holds semi-regular Dragonsmeets and is where Joseph works on his Ultima cookbook project. Leo Taylor: As a child Leo Taylor was always making sound effects for everything he did. From sword fighting imaginary ninjas, to driving race car hot wheels, he was quick to make a “boom” or “swoosh” sound with ease. As an adult he is a proud Audio Designer & Composer who believes any experience is more impactful, emotional, and epic with carefully crafted sound. Graduating with an Audio Engineering degree he undertook Internship after internship all over the globe to strengthen his stride on the path of becoming of a true professional designer. Since then he has been fast at work in the industry, creating sounds for open world VR games, stylistic mobile apps, to even films scores and anime shorts. His experience has really honed his skill set, but he claims that continually learning, an open mind, and a love of the craft are his greatest assets. 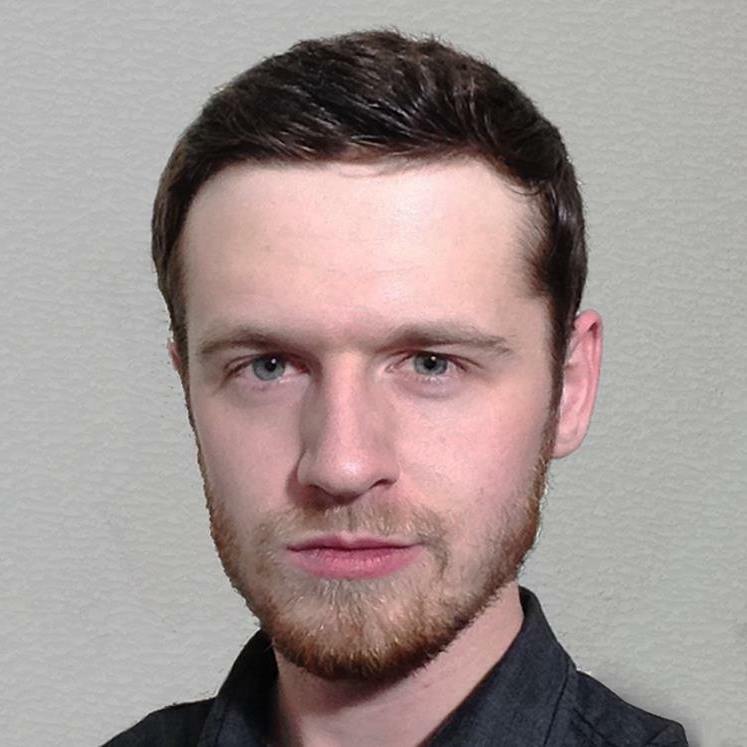 Finn Staber is a Designer / Programmer with versatile skills in Visual FX, 3D Art and World Building. He focuses on creating advanced player controls and building amazing interactive experiences. He teaches game development workshops using Unity at multiple Austin local schools and colleges. 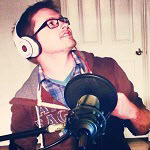 He is a talented Voice Actor for animation & games, and is well known in the game development community. Finn enjoys networking with other skilled developers and hacking the latest technologies/hardware. His artistic background in film and music gives him a compositional awareness toward design. Finn has helped to form multiple successful tech-startup teams, involving the development of video games, digital marketing/sales apps and government contracted cybersecurity measures. His connections at Unity have helped him form great relationships with many other developers and educators. 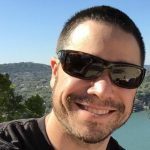 His experience in the US Army and knowledge of agile teamwork allows him to communicate well with other developers, and work hard to complete difficult tasks. Finn has had the opportunity to wear many hats in development during his past work with Kalani Games, Multimedia Games, Unity Games and many other teams. 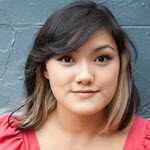 Melissa “Mel” Soest is a self-taught 3D Character Animator originally from a small town in Connecticut. Moving to Southern California to pursue her dreams in early 2007, she landed her first gig as an Art Intern at Ready At Dawn Studios, modeling and UV mapping environments for God of War: Chains of Olympus, on the PSP. 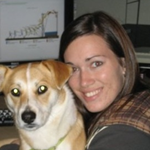 Melissa continued to work for Ready At Dawn Studios, moving up to the Animation Team, eventually shipping God of War: Ghost of Sparta, on the PSP. Later she met her husband, whom also works in the game industry, and moved to Austin, Texas in 2010, where she landed an animation gig with the studio Edge of Reality and shipped projects like Sims Pets, and most recently Transformers 4: Rise of the Dark Spark. Zachary “GingerLoaf” Sheppard is a programmer and composer who recently decided to pursue a career in video games. 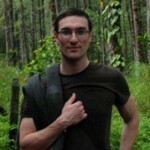 Zachary began programming in May 2009 working on digital time and attendance solutions. 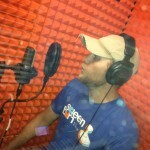 He has also been playing and writing his own music since 2009. In 2012 he moved to Austin to chase his dream of making video games. As a soon to be Austin Community College graduate, combined with several years of application development elsewhere, Zachary has a lot to offer the Portalarium team. Artie Rogers is a professional game developer who has been working in the industry since 1996. He has held a wide variety of positions ranging from Quality Assurance to Creative Director. He is best known for his work on Wizard 101, which was voted the best new MMO for 2010. Artie has worked on dozens of titles, including Elder Scrolls Online, Area 51, The Hobbit, Medal of Honor 3, and Ultima Online. His portfolio covers a wide variety of genres such as FPS, Action RPG, RTS, TCG, Strategy, Mobile, and MMOs. His games have targeted a wide range of different demographics from families to adults and casuals to hard cores. Artie has also published numerous articles in Massively Multiplayer Game Development book series. He currently lives in Austin, Texas with his wife and two children. 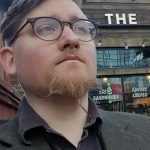 Abe Robertson is a Game Designer/World Builder with just over 5 years of industry experience, and an additional 4 years in the modding scene. Before joining Portalarium, he created levels and systems for a few small titles such as Call of Duty: Black Ops, Halo 4, and Black Mesa. Abe is new to the Portalarium tribe, and is super excited to be working with a small team of passionate and proven devs. When Abe isn’t constructing levels, he spends his time shredding guitars, writing heavy metal music, and downing pints at the local tavern. 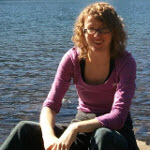 Alyssa Reuter first decided that she wanted to be a game developer after exploring the ages of Myst when she was seven years old. 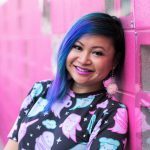 In 2010, she was part of the first graduating class of Carnegie Mellon University’s integrated Computer Science and Arts program, where she focused on digital and interactive media. While at school, she also completed internships at EA (Command & Conquer 4) and SilverTree Media (Disney’s Pixie Hollow Online). After graduating, Alyssa took a six month break from games to study fashion design at Parson’s New School of Design in New York City, and then decided to move to Austin for the warmer weather. She started at Edge of Reality in early 2011, at first working as a VFX artist on The Sims 3: Pets and then as a technical artist / engineer on Loadout, Mass Effect Compilation (PS3), and most recently, Transformers: Rise of the Dark Spark. 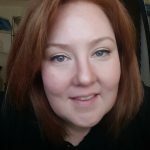 She is now happy to be on the Shroud of the Avatar team, helping to create a visually rich, immersive interactive world with her unique blend of technical and artistic abilities! Madonna Marie Refugia is a newbie to the gaming industry having started working with Portalarium in 2013. When she is not helping out with Shroud of the Avatar, Madonna is busy pursuing comedy in New York City as a writer and performer of sketch comedy duo, IMELDA. Jennifer “Jay” Reichman is a 3D artist new to the game industry. One part artist and three parts nerd , Jay has been playing games since she was old enough to hold a super Nintendo controller. Now currently a student of Animation at the Art Institute of Austin, Jay hopes to begin a career working in the industry that helped shape her childhood. She is excited to be working with such an experienced and creative team and looks forward to creating plenty if awesome things for the world of SotA. Isaac Oster has 5 years experience in the game industry as an artist. He worked on both the environment and character art team at Bioware, helping build Star Wars: The Old Republic. He also teaches game art production at the Art institute of Austin and develops tutorials for 3DTotal.com. 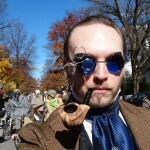 Erik Mackdanz (erikmack in the forums) is a server engineer with a varied career in the financial and telecom industries before arriving in games to ship an MMO and a handful of social games. He’s been recently busy prototyping and proving tech for builds, development workflow, storage, and virtualization. “I feel privileged every day to be working with this expert team.” Outside the office, Erik is a bass player (mostly jazz upright) and an open source enthusiast. Rey Madolora has been providing finance and accounting solutions to start-ups and tech companies for over ten years now. 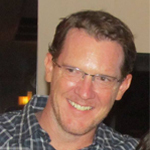 He is a “process guru” and a “spreadsheet ninja” and he started his consulting practice, El Contador Consulting, shortly after leaving Deloitte where he cut his teeth in the areas of financial accounting, systems, operational process, risk management, reporting, modeling & forecasting, change management, and mergers & acquisitions. He also has significant international experience especially in Asia. He is a serial entrepreneur and has founded and co-founded several of his own ventures. He is a proponent of collaboration and it is not uncommon for his consulting engagements with clients to span for many years from startup and fundraising through exit. He specializes in the hi-tech space, but also enjoys working with not-for-profits, industry, and lifestyle businesses and entrepreneurs. Rey began working with Portalarium in May of 2013 as the company’s lead accountant and On-Demand-CFO. 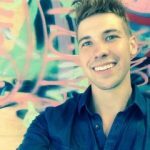 He prides himself on being different and fun to work with and is passionate about helping his clients scale, grow, and achieve their strategic initiatives. He is a competitive cyclist and mountain biker, a published fine arts photographer, and a certified yoga teacher. 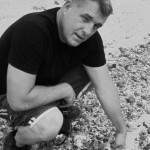 Geoff Mellon is an Artist with over a decade of experience in the game, and Film industry. He is skilled in 3d creation and traditional 2d art skills as well. Specializing in Character creation and optimizing methodologies for game implementation, his strength is scripting, game engine lighting and effects. He was the Art Director/Art Lead on 10+ games including 7 Guitar Heros. He also taught animation and Game Design for 6 years as a full time instructor at the Art Institute of Phoenix, writing and designing the course documents for 20 plus classes. 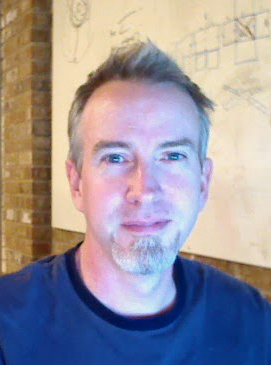 Jeff Mills has been making games professionally since 1996, at such studios as 7th Level, Terminal Reality, and Red Fly Studios. He has spent his career as a facilitator among the various disciplines within the development studio structure. Part programmer, part artist, part scripter, his experience gives him valuable insight into all of the processes involved in developing video games. 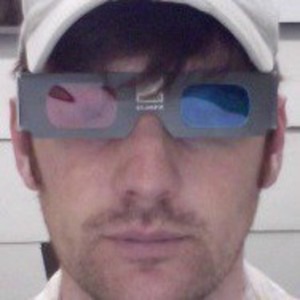 Brandon Lackey is an animator with a varied production background. He got his start animating on the pilot television episode of Lucy Daughter of the Devil for Cartoon Network. He then moved to Vietnam and worked in tv commercials. He ate a lot of really good pho noodles there. Then he moved to Singapore and worked on a low-budget animated movie with Christian Slater starring as Moses. He also animated on a television series for Discovery Channel. He avoided the durian in Singapore as often as possible. More recently he’s back in the US and working in game development. He’s animated on a few mobile games and is excited to be working with the very talented team at Portalarium. When he’s not at Portalarium he teaches animation at the local community college. Bill Kirkman (aka chillblain in almost every game/forum he’s ever been a part of) is a Game Designer clocking in at just under 5 years of industry experience with a Bachelors in Game Development from Full Sail University. In the past Bill has worked at Lightbox Interactive on Starhawk for the Ps3 and at Red Fly Studio on several Wii titles including Ghostbusters and Star Wars: The Force Unleashed II. Bill has done work on both multiplayer and single player games including designing levels, populating those areas with events/npcs, and implementing gameplay systems used throughout those games. Currently he is working mostly on world building, crafting some of Shroud’s play spaces, with a little bit of system implementation and game system planning on the side. Little bit of trivia: Bill’s full name is William Edward Kirkman the Third. 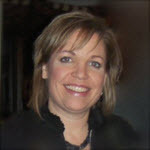 Amy Kopp grew up in Austin and is a graduate of the University of Texas and has a BBA in Finance. She has set up financial systems and processes, as well as provided ongoing financial management for a vast variety of businesses over the past 25 years. She began working with Portalarium in 2013 and has found it to be quite amazing to watch this crew from behind the scenes build and design such an awesome product. As a break from the world of accounting, Amy has her Travel Agent’s license and loves to travel. Additionally, she is an avid outdoor enthusiast who enjoys gardening, hiking, biking and fishing with her husband and daughters. 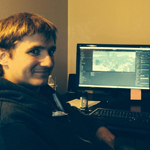 Aaron Holden is a recent graduate of Austin Community College Game Design Institute with skills in level design, QA and production. Previous experience includes QA testing for Bioware Austin on Star Wars : The Old Republic and scripting/design for Kalani Games alongside fellow SotA team members James Cousar and Finn Staber. Just like everyone else, Aaron is wearing many hats on the SotA project, including QA, CS, and crowdsourced asset management. 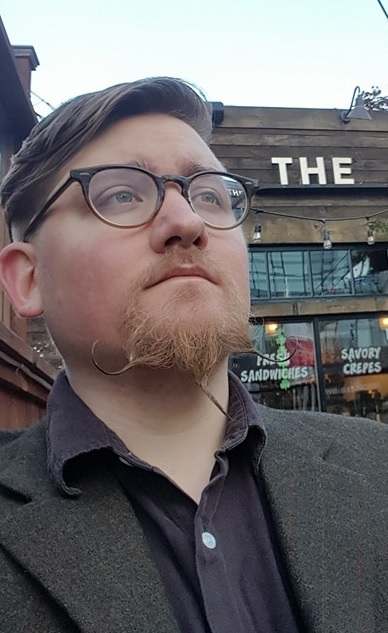 Nathan “Vaughn” Howard has been involved in the gaming industry since 2000, when he joined the staff of an online text-based game, Burning MUD, of which he is now the lead developer. Nathan started his professional career in game development when he joined Playtechtonics in 2007 as the Community Manager and Linux System Administrator for Starport: Galactic Empires. In 2011 Nathan joined Portalarium with a varied skill-set, including over 15 years of IT experience, where he is currently the IT Director as well as a part-time Designer. Niall Farrell has been animating since 2009, and is relatively new to the game industry. 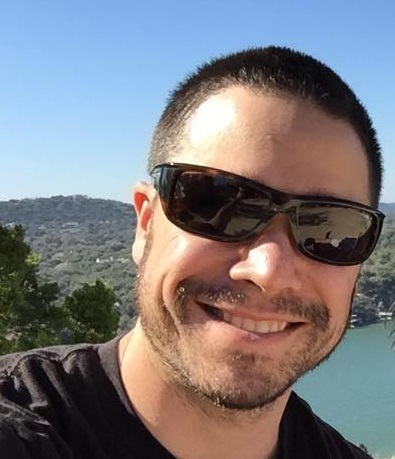 An Austin Community College and Animation Mentor graduate, with experience at local studios – Panic Button Games and Moontower VFX – he brings a love for the art and craft of animation and game development. Niall hails originally from Kilkenny, Ireland, where he was raised by Leprechauns. When he’s not animating, he can be found with a pint of stout and tickling the strings of his guitar, playing some Irish tunes. Michael Dameron is a recent Game Design graduate from ACC’s Game Development Institute, and Lead Designer on the 1st place team in the 2014 Captivate Conference’s student game competition. While completing his degree he interned at Virtuix as a technical designer aiding electrical engineers in the development of the Omni. 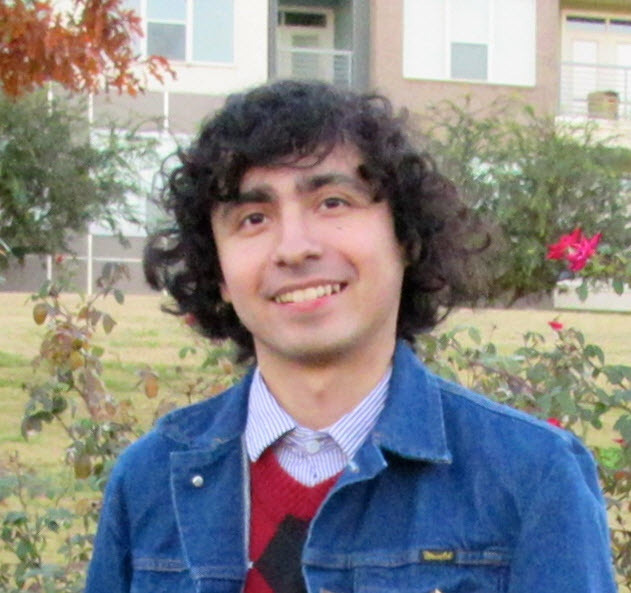 Upon completion of his internship, Michael worked as an independent Unity Developer for Chaotic Moon Studios here in Austin programming an interactive motion sensing experience and UI for a mobile app. When Michael is not working, he spends time with his wife, preparing for their first child. 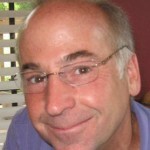 Stephen Daniele is a creative catalyst unleashing people’s imagination. 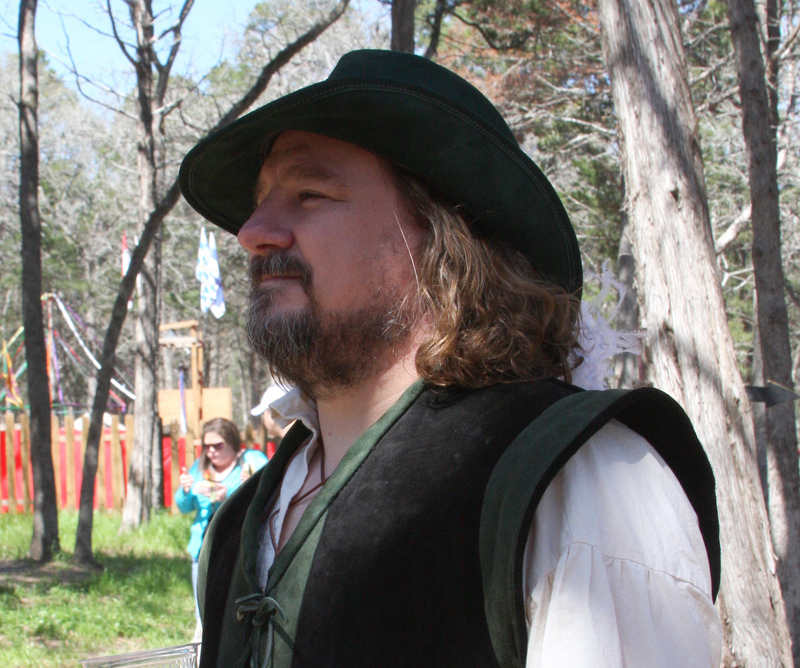 With over 15 years of professional experience he is a recent addition to the Portalarium tribe. 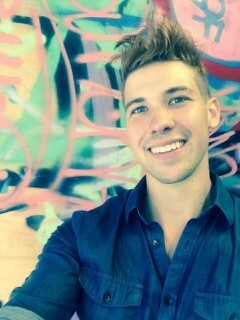 Stephen is an artist passionate about the creative process, crafting an immersive and memorable experience, telling a story and building a world through art. As Concept Art Lead he is thrilled to be Collaborating with Richard and the Portalarium team on Shroud of the Avatar. Andres “Andy” Cortez is a recent graduate from the Art Institute of Austin where he focused his talents on 3D Art. While in school, he interned at Sony Entertainment Online and helped create art for DC Universe Online. With a childhood full of Star Wars, The Legend of Zelda, and work from Tolkien, sci-fi and fantasy have always been an important part of his life. Andy is fairly new to the game industry and is very excited to be making art for Shroud of the Avatar. 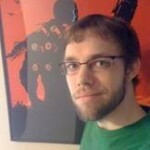 James “Thud” Cousar is a recent graduate of the ACC game design track, with skills in scripting, design and QA. Previous experience includes design and QA work for Kalani Games and an independent project that took second place at the 2013 Captivate tech conference. As a lifelong computer, console, and pen-and-paper gamer he’s excited by the chance to be part of a groundbreaking project like Shroud. James enjoys breaking games down to find the delicate combination of system mechanics, playability, and immersion that creates a truly memorable experience. As a designer he works to look past the surface impressions of “This is fun” or “This is terrible” and understand why. He is currently serving as QA Lead for Shroud of the Avatar while staying one step ahead of the ninja assassins who hunt him relentlessly. 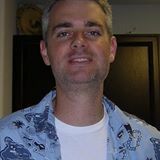 Eric “Mytaz E’ll” Bolinger is new to the game industry after working in Information Technology for the last twenty years. His degree in Communications: Radio, Television and Film from the University of North Texas has served him well in the customer service aspects of IT support. He has mostly faded memories of playing Ultima IV on an IBM PC JR, but does remember being overwhelmed by the depth and scope of the game. From there his love of computer games and especially RPG’s only grew. Today Eric can be found spoiling his beagles and his godson, camping all around Texas, noodling on various musical instruments and spending too much time on the computer playing games.